Kate McGuire is Of Counsel to Wolf Haldenstein. Ms. McGuire has extensive experience in securities class and derivative litigation. She is also a member of the Firm’s Consumer Protection practice group, and has worked intensively to protect classes of consumers against companies that use deceptive and unfair practices. She has over 18 years of experience in large-scale complex civil litigation. 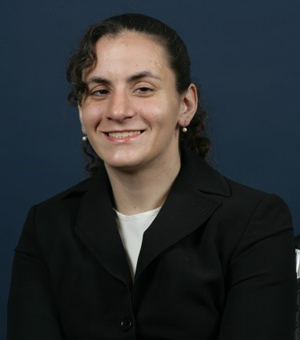 Ms. McGuire joined Wolf Haldenstein as an associate in 2002 and became Of Counsel in 2012. Represents investors in complex securities fraud class actions, ERISA pension plan matters, and shareholder derivative cases in federal and state courts throughout the United States. Investigates, initiates, and prosecutes wide-ranging complex consumer protection class actions. Worked on the firm’s Madoff Recovery Litigation Task Force, representing wronged investors in various Madoff feeder funds in successful class actions. Litigated consumer fraud cases based upon allegations of misrepresentations and omissions concerning the purported safety of electronic cigarettes. Represented shareholder and derivative plaintiffs in successful litigation against companies such as Bank of America, Schering Plough, Comcast, Comdisco, Collins & Aikman, and J.P. Morgan. United States District Courts of the Southern and Eastern Districts of New York.